The arrest of David Coleman Headley, an American national held on terror charges by the Federal Bureau of Investigation in Chicago earlier this month, is an indicator of the extent which the Lashkar-e-Tayiba could go up to carry an attack on Indian soil. The Lashkar is adopting new strategies to carry out terror strikes; and the latest one, according to the sources in the Intelligence Bureau, is the appointment of doctors. The first signs of doctors being inducted into the Lashkar was noticed in Jammu and Kashmir a month ago. The Lashkar had made an appeal through its cadres in the Valley that doctors who wish to join the cause of jihad are welcome to join the Lashkar. The plan was to send in a doctor during a terror attack like the one on Mumbai on 26/11. The doctor could treat the terrorists during the attack. The IB says that till date, the Lashkar has appointed over 15 doctors and are on the look-out for more. Apart from this, the Lashkar cadres across the country too have been told specifically to include doctors during the recruitment process. The 15 doctors were sent to Pakistan for training. Out of those, seven have returned and have joined the cadres in the Valley. The IB says that these doctors will accompany cadres all the time and would provide medical aid in times of need. The second phase of the recruitment process is already underway. The IB says that not all the recruited doctors are fully qualified. The Lashkar has made it clear that the doctors need to be well-versed in dealing with emergency situations. These doctors, apart from providing first-aid, will also have to deal with treating bullet injuries and other problems that may occur during the course of an attack. It is now a well-known fact that terror groups from Pakistan are planning a bigger attack on India. Ilyas Kashmiri, the chief of the Al Qaeda’s 313 brigade, too had claimed in an interview that they — along with the Lashkar — had plans to launch Ghazb-e-Hind, a terror operation aimed at creating mayhem in India. Kashmiri had also stated that what was seen in Mumbai was nothing, and they have something bigger planned. The IB says that this means that they are planning to send a larger force to carry out attacks in India. Medical experts would back such teams of terrorists, so that the cadres can wage the battle for a longer period. With the foreign media reporting a continued Lashkar-e-Tayiba threat to India , Indian intelligence agencies say that this dreaded outfit has at least 1,800 men on standby all set to enter into India and spread terror. Intelligence Bureau sources told rediff.com that the reports coming in from foreign intelligence agencies were correct and the Lashkar in fact has regrouped in the past year, after it was bogged down following the Mumbai terror attacks last year. The IB report on the Lashkar suggests that at least 600 terrorists have been kept on standby along the Line of Control and are awaiting orders to enter India. The rest are still in the Lashkar camps in Pakistan ready to follow suit. The IB says that the Lashkar, since the past couple of months, has been on a recruiting spree and Pakistan’s Inter-Services Intelligence too has been playing a vital role in helping the recruitment process. The arrest of the top leaders by the Pakistan government had lowered the outfit’s morale. However, the Lashkar has been quick to regroup and commence its recruitment process. The IB says that the Lashkar has increased its attacks recently in the Kashmir Valley. These incidents are only aimed at infiltrating and also testing the strength of the outfit. Moreover, they also need to show that they are still interested in Kashmir — while the actual intention is to spread mayhem in India. IB sources, who have submitted a report to the home ministry, the Lashkar regrouped with the help of various other outfits. Since there was a lot of pressure on the Pakistan administration to crack down on the outfit, it was not easy to do things as openly as they used to do before. 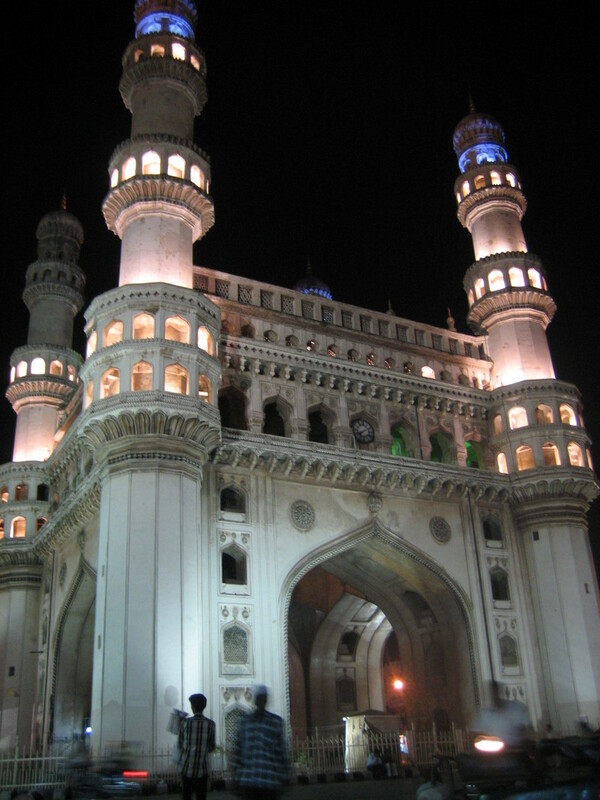 Since the Mumbai attacks, both the United States and the Indian agencies have been keeping a close watch. The US agencies were more worried about Lashkar teaming up with Al Qaeda . The ISI has advised all terror outfits operating out of Pakistan to work as one. Their training centres are the same and the training programme is the same. During this time, when the Lashkar was under scrutiny, it was the Harkat-ul-Mujahideen , Jaish-e- Mohammad and the Hizbul Mujahideen recruiting on behalf of the Lashkar. IB sources say that there has been a drastic change in policy and all these outfits have started to share a common ideology so that a common recruiting ground could be set up. Thanks to this change in strategy all these outfits put together have nearly 15,000 members of which 1,800 have been kept ready to strike India. It is said that the Lashkar is desperate to show its strength and hence the outfit is getting desperate to carry out a major strike in India. India’s fake currency problem gets bigger and bigger. So dependant are Pakistan-based terror outfits on fake currency they recently stole a secret template India used to print its currency. 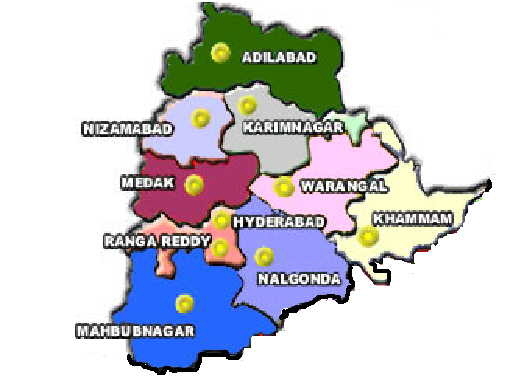 The Central Bureau of Investigation is currently probing the theft with the help of the Directorate of Revenue Intelligence, the Reserve Bank of India and the Central Forensic Science Laboratory. The CBI and sources in the Intelligence Bureau say certain security features of the template were stolen to enable the printing of Rs 1,000 and Rs 500 currency notes. The investgators are certain that the theft has the fingerprints of the Pakistan military’s Inter Services Intelligence directorate. Sources told rediff.com that the ISI relies on local gangs to undertake such assignments. IB sources say they are also probing if fugitive gangster Dawood Ibrahim’s [ Images ] henchmen were involved in the crime. Investigating agencies also do not rule out in-house involvement. They suspect the ISI’s Indian contacts penetrated the establishments responsible for printing currency and obtained information. Preliminary investigations have revealed that the ISI wanted to make the fake Indian currency look authentic. Earlier, Indian security agencies easily spotted the fake currency. Hence, investigators claim the ISI’s dirty tricks division felt it was necessary to produce Indian currency to near perfection. IB sources say the operation to steal the security features of Indian currency was two years in the making. After stealing the template, the manufacturers of the fake currency also changed the quality of paper used for printing. Earlier, they used paper manufactured in Pakistan out of wood pulp. Today, the paper is imported from abroad and resembles the paper India uses in its currency. IB reports allege that the ISI convinced the Pakistan government to import the currency standard printing paper, which the ISI diverted towards printing fake currency. Indian intelligence sources point out that some Pakistan officials are aware of these activities since much of the fake currency is printed at government presses in Quetta, Lahore and Peshawar. Once the notes are printed, the ISI transports them to Nepal, Bangladesh and Sri Lanka. Agents hand over the notes to individuals who smuggle them into India where it is exchanged on a 2:1 basis. That is, two fake rupees are exchanged for one genuine rupee. The interrogation of a gang arrested recently in Uttar Pradesh revealed that most of the fake currency is being brought into India through Nepal. Women are often used to transport the notes to lower suspicion at border checkpoints. Investigators say the thread in the freshly printed fake currency notes are no longer hazy; the watermarks, the Ashoka Pillar, Mahatma Gandhi’s image, the denomination and the RBI mark are more prominent. The sprinkled dots are harder to identify when held against ultra violet light; also, the new fake notes ensure better visibility of the superimposed digit when held horizontally. The biggest problem the ISI faced before the template was stolen was the size of the series prefix. However, with the template in its possession, the agency has fixed this problem — the alignment of the series prefix has been placed in a correct line. Some Indian observers estimate the fake currency in circulation at Rs 169,000 crore (Rs 169 trillion), a figure the RBI denies. Apart from funding terror operations in India, the fake money is used in real estate transactions. The fake money has also entered the banking system. Investigators say an individual who wants to deposit fake currency will ensure that s/he does so when there is a crowd at the teller’s desk. Since the teller is too busy to check every note, the fake currency gets deposited, and into the Indian banking system. The National Crime Record Bureau states that 1,170 cases of fake currency were registered last year, a decline from the 2,204 cases registered in 2007. In the past year Rs 3.63 crores (Rs 36.3 million) in fake currency has been seized. The CBI is investigating 13 cases pertaining to fake currency. All 13 cases have international ramifications involving the ISI. Indian investigators have plenty to smile about with the arrest of Thadiyantavida Naseer and his associate, Shafas, who were picked up by the Bangladesh police on the Meghalaya-Bangladesh border. Naseer is a prized catch since he played a crucial role in the various serial blasts that rocked the country. Moreover, he is also suspected to have guided terror suspect Tawwahur Rana (arrested for being a Lashkar-e-Tayiba operative by the FBI in Chicago) during the latter’s visit to Kerala prior to the 26/11 Mumbai attacks. Naseer’s name first sprung up during the Bangalore serial blasts in 2008. The interrogation of 20 odd accused persons in connection with the blasts revealed that Naseer was behind the blasts. Intelligence Bureau sleuths who have a dossier on him say he operated as the financer of the Indian Mujahideen with Riyaz Bhatkal. He had worked as a ginger contractor in Karnataka’s Kodagu district and sheltered several accused before the blasts. He then put all the IM cadres in a rented house near Hosur in Bangalore a month before the blasts. Naseer, who originally hails from Kerala, took to jihad almost a decade ago. He started off as a small time operative who took part in anti-India meetings in Kerala. During this period, Naseer was accused in two murder cases and was also an accused in an attempt to murder case relating to then Chief Minister E K Nayanar. He was also booked by the police for setting a Tamil Nadu state transport bus on fire. The IB says that Naseer was passionate about the cause and that what made the Lashkar-e-Tayiba rope him in as one of their main cadres. His first assignment with the Lashkar was to arrange for recruits. He travelled between Kerala and Karnataka and conducted several underground meetings and recruited many young men. In fact he teamed up with Bhatkal and recruited a core team of jihadis who were later sent into Kashmir to battle the Indian Army. This in fact was his first major assignment which sprung him to fame. Naseer was then handed over a new role. This led the birth of the Indian Mujahideen, which was nothing but another wing of the LeT. The IB says that he travelled extensively between the Gulf and Pakistan while setting up the IM and finally he was asked to handle the finances of this outfit. Naseer single-handedly managed to rope in a lot of Gulf contacts who financed IM operations in India. His first major assignment with the IM was the serial blasts which rocked Bangalore, Ahmedabad and Delhi. He operated mostly out of Karnataka and Kerala. It was only after these blasts that the Indian security agencies raised the heat on him. Intelligence Bureau officials say that Naseer had stayed on in Kerala for sometime after the blasts. It was during this time that he came in contact with Rana whom the Indian agencies say played a vital role along with David Headley (also arrested by the FBI in Chicago) in the 26/11 attacks. During Rana’s visit, Naseer played a vital role in helping set up a fake job agency. In turn Rana helped Naseer and his brother-in-law Shafas get out of Kerala. The IB says that they had information that the duo had slipped into Bangladesh and were directed to lie low before undertaking further operations. The arrests in the United States of America and also at Italy have thrown up a whole new angle to the Mumbai 26/11 plot. 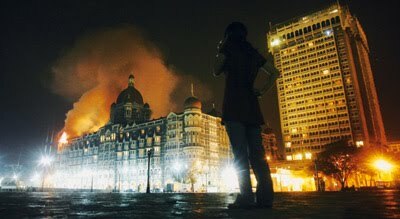 Investigations by the National Investigating Agency has made it clear that the Lashkar-e-Tayiba which plotted and executed the 26/11 attack had not only used Indian and Pakistani modules to carry out the attacks, but had also accessed its modules across the continent to undertake the 26/11 carnage. An interesting detail that has cropped up during the investigation is that there was one person who played a major role in coordinating the entire attack on Mumbai. The FBI and the Italian police have termed this man as Sajid Mir, the Indian police as Abu-al-Qama while the Pakistan authorities who have arrested this man call him Zarar Shah. It is now clear that this man Mir alias Qama alias Shah is the most vital link to the entire Mumbai carnage as he would be able to tell in detail as how he managed to coordinate forces in the US, Italy, India and Pakistan to undertake an attack of such a large nature. Mir according to the intelligence bureau has been in the Lashkar for nearly 15 years. The closest aide of Lashkar boss, Zaki-ur-Rehman Lakhvi, this man is a professional with computers and has been largely responsible for setting up the tech division of the Lashkar. He was made in charge of the Lashkar tech cell in the year 2002 and since then he has not only become a high ranking cadre in the Lashkar but also a trusted commandant of the ISI in Pakistan. Looking at his skills in computer education and the manner in which he was able to coordinate cadres between various countries, he was promoted to the position of trans-continental head of the Lashkar in the year 2005. It was from here that his journey began into planning the Mumbai attack. Almost single handedly he oversaw transaction of funds and also kept in touch with operatives such as Headley, Rana, the Italian duo and also Sabahuddin and Fahim Ansari every time they were executing something relating to the Mumbai attack. IB sources told rediff.com that being the trans continental head of the Lashkar it was his responsibility to coordinate with these cadres from across the globe. 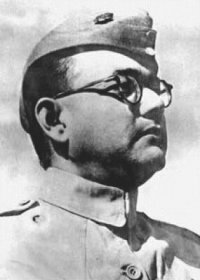 Working purely on a need to know basis, this man ensured that none of the opereatives from other countries were even aware of what the other was doing. While he sent out Sabahuddin to appoint Fahim Ansari to draw out the maps, he simultaneously told both Headley and Rana to conduct reccees in Mumbai. The interesting fact is that even Sabahuddin or Ansari were aware of the fact that two other persons from Canada and Chicago were carry out a similar operation on the ground. While Ansari prepared the initial maps of the targets and sent it across to Pakistan, Headley and Rana did a finer analysis of the same. Mir had instructed both Rana and Headley on the basis of the information provided by Ansari to do a finer analysis of the targets. Based on the information made available by Ansari, Headley and Rana went ahead and prepared finer sketches of the targets and also shot videos of the same. Apart from this Mir also coordinated with modules in other parts of Europe and ensured that a large part of the financial transactions came in from that part of the world in order to carry out the Mumbai attack. IB sources say that it was Mir’s idea to ensure that the Lashkar becomes a global outfit and they stamp their authority in every possible country. This is the reason why the Lashkar through Headley thought of targeting Denmark, a country which otherwise would fall under the jurisdiction of the Al-Qaeda. Mir apart from overseeing operations of the Lashkar in other countries has also been told specifically by the ISI to coordinate with the Al-Qaeda since they want to see the two outfits merging in order to spread global terror together. Pakistan conceal truth: In February 2008, Pakistan had claimed that it had arrested a person by the name Zarar Shah and he was facing trial. They also claimed that Shah had said that he was aware of who Ajmal Kasab and the rest were. However Pakistan has been extremely suspicious in its behavior where this man is concerned. A request by the US officials to interrogate Shah was denied by Pakistan authorities at the behest of the ISI. Information now trickling in from the IB and investigating agencies would suggest that the Zarar Shah who has been arrested by Pakistan is fake and he actually is a very low level operative of the Lashkar who goes by the real name, Abu Wajid. The IB says that through the Interpol a red corner alert has been sounded against this man. Moreover Indian authorities have made requests to provide his photograph which has been denied lest the truth comes out. The IB says protecting the identity of Mir alias Qama alias Shah is of utmost importance for the Pakistan based ISI. He hold the key to extremely crucial details of the ISI’s role in spreading global jihad and he will also be a one stop information for the international contacts of both the Lashkar and also the ISI. Sources say that pinning down this man would be crucial since he will be able to piece together the exact details of the entire Mumbai carnage and also how the international jihad factories played a role in excercising this horrific attack. The Intelligence Bureau and Research and Analysis Wing are downplaying their team’s failure to meet David Headley, the Lashkar-e-Tayiba operative currently in the Federal Bureau of Investigation’s custody. Agents from India’s domestic and external intelligence agencies traveled to the US recently to interrogate Headley, who the FBI arrested last month and charged with being part of a Lashkar conspiracy to spread terror in the United States, Denmark and India. An agent, who was part of the joint IB-R&AW team, told rediff.com that a local court had turned down their plea to meet the Pakistani-American. “In the United States, it is important to obtain the court’s permission before interrogating anyone on its soil,” the agent said, requesting that his name not be mentioned in this report. When asked why the team had traveled to the US without completing the groundwork, the agent said IB and R&AW officials had communicated the team’s agenda to the FBI who had given them the go-ahead to interrogate Headley. “But Headley was in judicial custody and we needed the court’s permission to question him. We would have had no problems had he been in police custody,” the agent added. A FBI team will visit India next week to investigate Headley’s links with the 26/11 terror attacks in Mumbai. Investigating teams have fanned out to the cities and towns that were on Headley’s terror radar as revealed by the FBI probe. These teams have been told to trace Headley’s activities diligently and gather information about his plans.